Social video expert Unruly reviews the latest viral by Thai mobile provider DTAC. Recently shed a tear over a John Lewis ad or found your lip starting to curl at Budweiser’s latest Super Bowl commercial? Don’t worry - you’re just an innocent victim of an all-out assault on your tear-ducts from marketers. 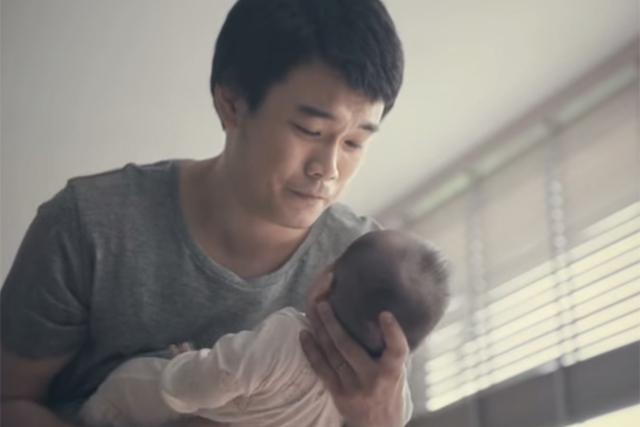 Case in point this ad from Thai mobile service provider DTAC, which features a new dad realising that nothing quite beats the human touch. Since being launched it has generated more than 326,000 shares, almost 13m views and no doubt one or two tears. But how has a slightly corny commercial for a Thai brand become such a global hit? Well, firstly, it’s a sign that brands, keen to embrace their roles as content creators, are starting to experiment with emotions. There was a time when Adland was a fun place to visit, full of comedic catchphrases and 30-second punchlines. But over the last couple of years there has definitely been a mood change. Look at the most shared global ads of 2014 (so far), and you will see what I mean. Only one of the top 10 could be described as funny. So what's happened? Like an artist who has only just realised he has more colours in his palette other than yellow, advertisers are now looking beyond trying to make people laugh (probably the hardest thing in the world) and are instead focussing on making people blue. A good example of this is John Lewis, whose Christmas ‘cry-athons’ have become as eagerly anticipated as presents, days off and pigs in blankets (well, almost!). Secondly, we've changed. The simple message of this ad is that technology will never replace love. It may seem obvious, but the fact that we have to be reminded of it (especially from a technology company) is interesting in itself. Just ask yourself, when was the last time you managed to survive a conversation with friends or family without checking your smartphone? Last week I even got a message pop up on my GTalk window from the person next to me. It said, "how was your weekend?" Look at the current state of content on the web, and there are signs we are trying to over-compensate for our lack of actual human content by looking at content which strives to be inspirational or meaningful. More human. Rather than cheap, easy laughs, instead it seems we are actively seeking content that makes our hearts quicken and our eyes moisten. Although admittedly a little cheesy, "The Power of Love" certainly falls into that bracket. By using the global themes of love and parenthood, it also strikes a chord among even the most cynical among us around the world. (Even those who aren’t parents can appreciate the joy when you pick up a crying baby and it stops bawling). That's not to say it doesn't have its faults. It could be a lot shorter and the mawkish plinky-plonky music is more than a little cloying. But what really holds it back from attracting more global attention is its depiction of fatherhood, which (certainly in the West) seems out of step with today's hands-on dads.